Dreamy weddings amidst picturesque mountains and sun-kissed beaches always a great idea, right? Think again if you really can afford travelling right before the D-day? If the answer is no, you've landed at the right place. We are here with some of the top destination wedding venues in and around Mumbai that are perfect for starting the new journey of life along with the blessings of nature. 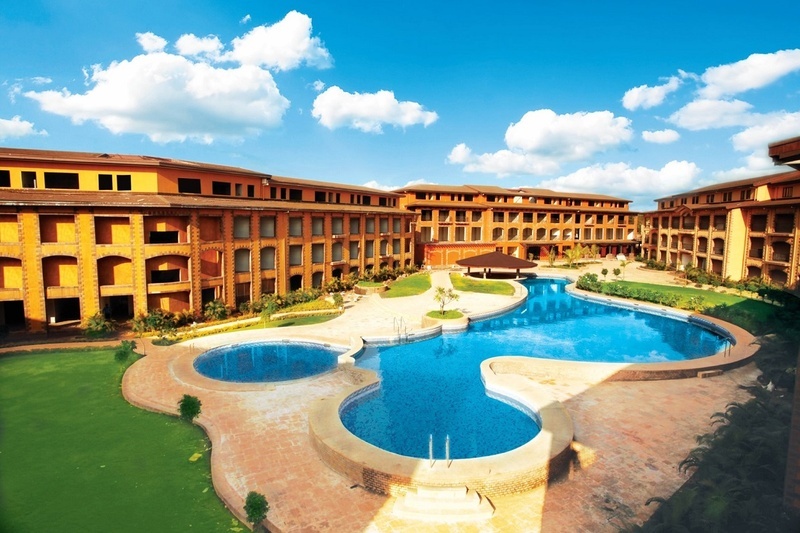 The perfect serene ambiance with state-of-the-art facilities, Discover Resorts, Karjat provides it all. It is nestled in the foothills of the Sahyadri Mountains and is the perfect way to celebrate your love away from the hustle bustle of the city. Start your new journey, surrounded by the foothills of Matheran and the Sun, showering blessings on you. With a spacious venue like this, your dream wedding wouldn’t be a mere dream anymore! A lavish affair needs a grand selection and a huge lawn with a 75,000 sq.ft. capacity is what you exactly want, and Discover Resorts provides the same. Check out this wedding of Pallavi and Vineet, who chose this picturesque venue to tie the knot! A quirky themed pool party, outdoor mehendi function, they hosted it all here. Have a wedding like royals, here at Andy’s Boutique Hotel, Malad West. It is located at Madh Island, a party spot for Mumbaikars. With lip-smacking delicacies and classy interiors, this banquet hall in Malad is perfect for a destination wedding. It offers three beautiful options for hosting the most happening events in town. There are rooms that are designed to provide comfort and convenience for all its guests. Villas, on the other hand are for the ones who wish to live life King Size. How to get there: Rukson Hotels Private Limited, Madh Marve Road, Dana Pani, Yoga Ashram, Malad West-400 061. The Grand Gardens Resort, Igatpuri is the perfect destination wedding venue to start the beautiful journey of your life. You are sure to be blessed by nature when you tie the knot amidst the serene atmosphere of The Grand Gardens Resort. Spread across 110 acres, the place is untouched by the hustle bustle of the city and is pollution-free. Offering the perfect setting, The Grand Gardens Resort, Igatpuri is the place you should be heading if you are planning a lavish destination wedding. The sprawling lawns with mountain view are for grand affairs and can accommodate thousands of guests. Adlabs Imagica, Lonavla is the perfect magical destination for destination weddings against the picturesque lagoon or The Imagica Capital castle; there is an array of interesting options. The destination offers entertainment, fun, adventure, dining, shopping, and accommodation all at a single location. There’s something interesting here for every family – a new experience at every step, and a thousand ways to have fun. Imagica also boasts of a swimming pool, children’s activity center, specialty restaurants, well-equipped gym and banquet halls for up to 600 people at a time. The Dukes Retreat, Khandala, Lonavala is one of the most exclusive resorts which is conveniently located on the Old Mumbai—Pune Highway. Nestled amidst Mother Nature, the resort offers gorgeous views of the famous cliff of the Western Ghats and has spacious and beautifully appointed rooms, stunning banquet halls, contemporary meeting facilities and restaurants. The Dukes Retreat blends service with finesse, making it a perfect getaway for a destination wedding where the guests also soak in the exotic beauty of Nature. The resort with its impeccable service, delectable food and splendid decor gives you an experience that is exquisite and memorable. How to get there: Pune Mumbai Road, Khandala, Lonavala 410 301, MH.